Despite attempts to establish him as a star in his own right, Wario's place in the Nintendo universe is as a foil for Mario, or as ringmaster of a weird bundle of seconds-long microgames in the WarioWare series. 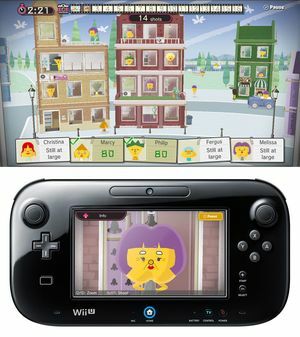 Game & Wario is a Wii U version of the latter, but as Matt Maguire finds, Wario's strengths have gone largely unrecognised in this meagre offering. 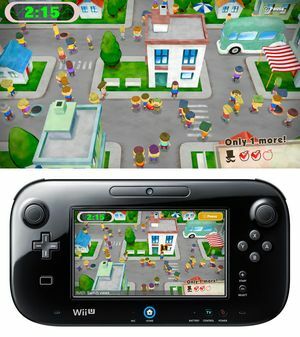 At this stage, it’s more or less agreed that only a strong suite of first-party titles will save the floundering Wii U. Abandoned by many third-party publishers until its install base sees growth whose change can be expressed with more than a single digit, what Nintendo’s console really needs is a new Zelda, Smash Bros., Metroid, and Mario Galaxy, or better yet, some actual new IP (pause for laughter). Until then, it will be up to the company’s second-tier properties like the imminent Pikmin 3, Yarn Yoshi, and Game & Wario to keep interest in the Wii U alive this year. That being the case, let’s hope those first two titles are really, really, unbelievably good, because Game & Wario, frankly, is not. 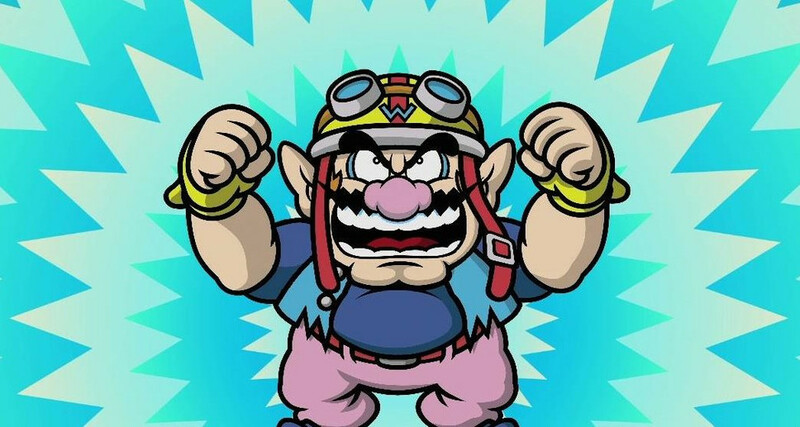 In a setup ripped straight from the first WarioWare title for the Game Boy Advance, Mario antagonist Wario is hoping to make money by selling video games. However, here the frantic pace of prior Wario games has been slowed and the games ever-so-slightly expanded, and that is to the detriment of all involved. A total of 16 are available, a quarter of which are multiplayer, and a smaller percentage of which are actually enjoyable even the first time through. ‘Gamer’ is the closest thing to the blink-and-you’ll-miss it Wario micro games of old – in fact, it blatantly and disappointingly copy-pastes minigames from previous Wario titles to the Wii U. The wrinkle here is that while the player uses the GamePad to pick noses and avoid giant feet in a series of seconds-long escapades, a signal of incoming danger is displayed on the TV in the form of a mother catching her child playing games after lights-out. Pause the mini-games before she arrives and things progress. Get caught and it’s game over. ‘Camera’ ties ‘UFO’ for the pick of the singleplayer bunch. 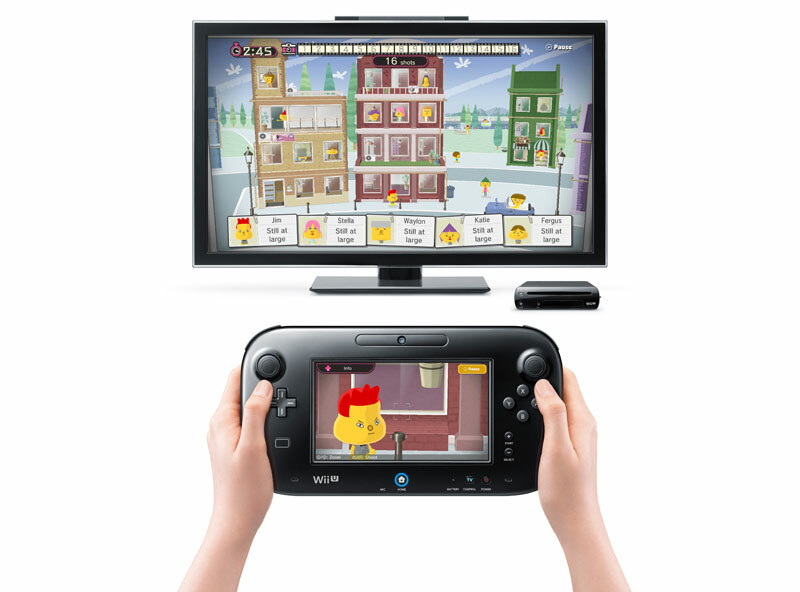 Here, the GamePad is held up to the TV and functions just like a camera for the scene therein. A journalist looking to get the best shots for the next day’s paper, the player is given pictures of his or her targets, which he or she must then, erm, take a picture of within a time and photo limit. Initially as simple as locating the moving photo subject in a bustling scene before zooming in and framing them well for maximum points, ‘Camera’ keeps things reasonably interesting for its five levels by having the player photograph invisible ghosts whose presence is only detectable by weird happenings in a house, for example. Meanwhile, UFO is an FPS wherein the player defends a farm’s animal occupants from abduction by a swarm of flying saucers. 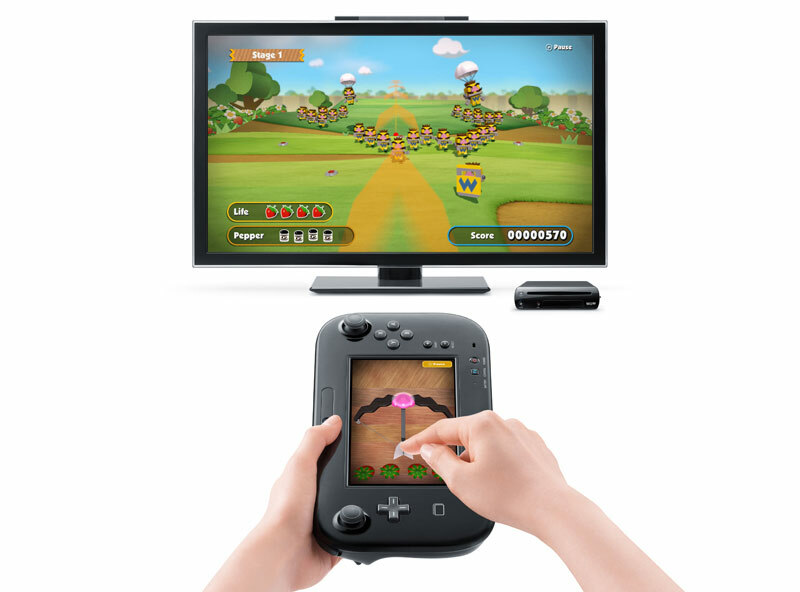 The small farm is navigated by car, and aiming of a rocket launcher is done by moving the GamePad around while a top-down view of the action is shown on the TV. Rescued animals must be ferried back to a central barn, and there is even a boss to battle. The main flaw with both these games is that they possess almost no replay value. With the collection of a couple of hundred meaningless digital prizes seemingly the only motivation for the player, the 20 or so minutes required to breeze through each is unlikely to be reinvested. The remaining singleplayer games on offer all feature Nintendo’s usual appealing graphics and welcoming sound design, and with the exception of 3D platformer ‘Kung Fu’ are well-designed. However, they also feel like half-ideas inexplicably pushed through to completion by a desperate – or deluded – developer. And while ‘Arrow’ and ‘Pirates’ nicely demonstrate the accuracy of the GamePad’s gyroscope, and others show that yes, the stylus and camera function perfectly well, nothing here is more than a tech demo with a tedious intro cinematic stapled to the front. Some, such as side-scrolling collection game ‘Ashley’, or the criminally-simple 'Ski' aren’t even that. It’s telling that despite the early '80s aesthetic and gameplay exhibited in 'Bird', it probably has the most longevity of all. Worse still, each game kicks the player out to the menu after every stage, delaying the action between levels by 30 seconds every time. It’s as if Nintendo recognises that the player will be bored with each title by that time and thus is encouraging them to move on. However, players will have to complete a stage of every other singleplayer title on offer before 'Bird' unlocks, and I can’t in good conscience say that journey is in any way worth it. Things are slightly better on the multiplayer side of things, in that three of the four games are fun when played more than once. 'Artwork' is Pictionary for the Wii U and this works well, with the drawer using the stylus and GamePad while the contestants face the TV. 'Fruit' is also fleetingly fun, with one player using the GamePad to move a thief through a crowd of clones in order to steal fruit scattered about the screen. Other players watching the TV are only clued into who the thief might be by a small aura when fruit is nicked, the player’s movements, or via a clue that pops up every minute or so. Shortcuts in the form of fast-flowing streams and manholes confuse matters further and provide the thief with some nice getaway opportunities. The game ends when the fruit quota is met or time expires, and it is then up to the eagle-eyed voyeurs to finger the culprit. This is even more fun than it sounds, but still less attention-grabbing than your average YouTube "fail" compilation video. 'Islands' is also marginally more involving than it first appears, with players one at a time flinging cubes on to a series of buoys floating in the ocean. Each buoy has a corresponding points value, but that changes randomly should the momentum of the projectiles push a buoy into one of the others. This gives the game a sniff of strategy as well as a hefty dose of chance, but again there is a distinct lack of meat on those bones. The offerings here are so slim, Game & Wario should really have shipped free with Wii U units, or perhaps been amalgamated into the similarly-anorexic yet vastly more engaging Nintendo Land. While the typical amount of Nintendo polish abounds, this collection is nothing more than a gaggle of sexed-up early-00’s browser games, and as such is tough to recommend to anyone. Wario's hyperactive pace has been excised and his games expanded, which only highlights the dearth of compelling gameplay therein. A thin offering whatever the price, Game & Wario will only appeal to those with anterograde amnesia, and Pictionary fans. Ups Nintendo's infectious music and sound effect design is in full effect. There are a couple of momentarily-enjoyable minigames. Downs A collection of extremely shallow mini games that lack replayability.